We’re in year 4 of the players drafted in the 2015 NFL draft. Some players you know are good, some are clearly bad and some are still TBD. Let’s revisit the quarterbacks, running backs, and wide receivers drafted in 2015. No other “good” QB was drafted – Garrett Grayson, Sean Mannion in round 3, Bryce Petty round 4, Brett Hundley round 5, Trevor Siemian in round 7. All three are currently backups and have failed in their full time starting opportunities. Tyler Lockett was a notable third round pick and Jamison Crowder was a notable fourth round pick. 3 of the best RBs in football were drafted in 2015. 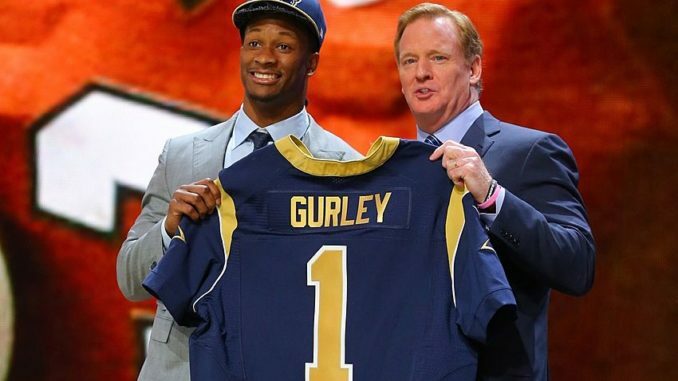 Two of them in the first round – Todd Gurley went 10th to the Rams and Melvin Gordon went 15th to the Chargers.